No matter how your holiday shopping is coming along, we’re willing to bet you still have some questions about the men on your list. Even the old standbys like a new tie no longer work for most men today. We have some ideas for you that are not only unique, but are also all inspired by living or vacationing in Vermont. Vermont is cold in winter which is why Vermont manufactures some of the best cold-weather gear in the world. Whether the men on your list ski or just walk the dog, they’re going to want to stay warm when the weather turns blustery. How about a made in Vermont, Alpine Hat from SKIDA? These hats are the perfect weight for winter cold. 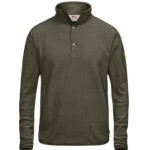 They are fully-lined with cozy fleece to wick moisture, cut the wind, and keep your man warm and toasty. Sold online or through select retailers worldwide, the SKIDA Alpine Hat costs $36. If any of the men on your list have a sweet tooth, Mother Myrick’s Confectionery in Manchester has some wonderful choices. From chocolates and sweets to delicious bakery items to their famous buttercrunch, Mother Myrick’s is the one-stop answer to many of your gift giving questions. 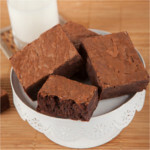 How about 12 Double Chocolate Brownies packaged and ready to enjoy for $40? Shop online or at the retail store in Manchester. 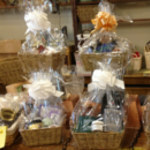 A gift basket from Above All Vermont in Manchester is always welcome. You can select the items yourself or have the store do the selection for you. What guy wouldn’t want a basket full of delicious snacks! Above All Vermont will even ship for you and can guarantee delivery by Christmas as long as the order is received by December 20th. Prices range from $24 to $75 depending upon items included. Shop in store or online. If someone on your list is an avid outdoorsman or just likes to wear the newest hi-tech gear, check out Fjallraven in Burlington, Vermont. Founded in Sweden, Fjallraven (meaning Arctic Fox) designs its clothing and equipment to be durable, functional, and timeless. Even if you can’t make it to the Burlington store, you can order Fjallraven online. Our suggestion – the Ovik Fleece Sweater at $100. Made from recycled polyester, this fleece sweater is the perfect weight under an outer shell to keep warm for outdoor activities in fall or winter. Is there someone on your holiday list who lives to golf? Here’s a gift idea that’s just perfect. 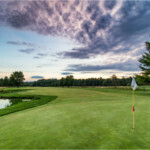 Basin Harbor Club on Lake Champlain in Vergennes is offering a couple of special “stay and play” packages that any golfer would love. They call these packages “Golf Fore Nothing” because they include unlimited greens fees for their 18-hole course. Purchase as a gift certificate and here’s what your golfer will enjoy … With a one night stay starting at $325/night, he gets unlimited greens fees with cart, breakfast, a bucket of range balls for two, and three special Basin Harbor Club logoed golf balls. 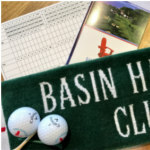 For a two night stay starting at $625, he receives unlimited greens fees with cart, daily breakfast, range balls, three special Basin Harbor Club logoed golf balls, and a Basin Harbor Club logoed golf towel. This pricing does not include tax and service and is subject to availability and blackouts. In addition, gift certificates can be applied towards any package throughout the season, subject to availability. Looking for a great stocking stuffer? How about stockings to stuff those stockings? Darn Tough Socks are made in Vermont so they are produced and tested for maximum outdoor performance. In fact, all of the Darn Tough Socks are guaranteed for life – no questions asked. 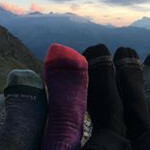 You can choose socks for those on your list based upon their pursuits – hiking, running, biking, hunting, skiing, and more. Whatever they do, Darn Tough has a sock that’s perfect. Prices range from about $16 to $30. Sold through outdoor and sports retailers, you can find a store through the company’s website. Do any of the men on your list have a beard or mustache? 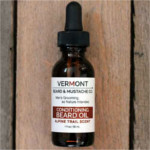 Give them a unique gift of shaving and conditioning oils from Vermont Beard & Mustache Company. They produce specially formulated oils to allow thick, rich beards without itching, or a clean-shaven face with no irritation. All are handcrafted in Vermont in small batches and are organic & all natural. Oils range from $24.99 to $28.99. You can also purchase beard and mustache combs. Order online. Give the gift of adventure. Men love machines and in the Vermont winter that machine is a snowmobile. 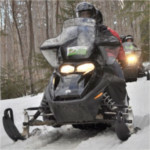 Give a special man on your list a taste of snowmobiling with Green Mountain Snowmobile Adventures. 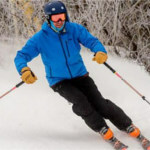 These guided tours take riders along VAST (Vermont Association of Snow Travellers) trails, through woods and over fields. Both day and night tours are available. Prices begin at $89 for an hour tour. Maybe if you’re lucky, you’ll get to go along! If the men on your list enjoy reading, a best-seller is always a welcome gift. 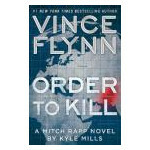 Browse the Northshire Bookstore in Manchester for the latest adventure novels like Order to Kill by Vince Flynn for $28.99. Can’t get to the bookstore? You can also order online and have your purchase shipped directly to the recipient. Heinel’s Clothiers is a tradition in Manchester, ever since its founding in 1879. 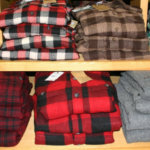 What better gift for the guys in your life than a plaid flannel shirt from Heinel’s. The store also carries a large selection of woolens, accessories, and giftware. They even offer Vermont T-shirts in adult and children’s sizes. For your holiday shopping trip in Manchester, make sure to browse Heinel’s for something special for the men on your list. There are a lot of ideas here, but if you still need more, check out Vermont.com’s Shopping & Products page or the Holiday Shopping Guides for Northern, Central, and Southern Vermont. You are sure to find even more suggestions to make your holiday shopping effortless and your recipient’s holiday wonderful. This entry was posted in Activities, Now Trending, Shop, Things To Do, Uncategorized on November 7, 2016 by Linda Warner.